How to use Gymboree Gymbucks! You are here: Home / online shopping / How to use Gymboree Gymbucks! When my daughter was one, I discovered Gymboree, and I was hooked. 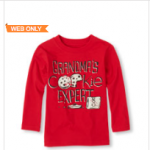 I had always assumed that Gymboree clothes are expensive, and they are if you pay full price. The key to buying Gymboree clothes on a budget is to NEVER pay full price! 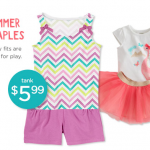 Using Gymbucks is one way you can buy Gymboree clothes on a budget! I usually don’t pay any more than my friends are paying for clothing at Target, Old Navy, and The Children’s Place! Here are six tips for making the most of your Gymboree Gymbucks. 1. 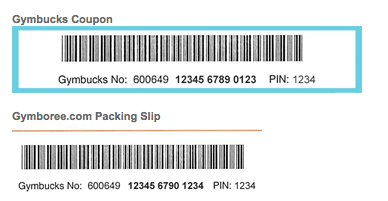 Keep your receipt and your Gymbucks together in a safe place – If you are redeeming online, you will just need the codes on your Gymbucks, but if you are redeeming in store, they will want to see your receipt and your Gymbuck. You will nee the Gymbucks number AND the Pin number to redeem online! Keep track of Gymbucks redemption dates, so you don’t miss out! 2. Make sure you’re signed up for Gymboree rewards – Gymboree Rewards is a FREE program that allows you to earn Gymboree rewards certificates for purchases you make online, in Gymboree retail stores, and in Gymboree outlet stores! Plus, you get early access to promotional shopping events INCLUDING Gymbucks redemption! In the past, the redemption period has started a day early for Gymboree Rewards members. Now, it looks like it’s only an hour, but every little bit helps! 3. Put your items on hold a day early – Call your local store a few days early to confirm when Gymbucks redemption is actually starting. Sometimes they will start redemption a day or two early. Visit your store the day before redemption starts, shop, and put your items on hold! They will do a complimentary hold for 24 hours! This helps to ensure you get the items you want and you can avoid the crowds, too. All you have to do is pay for your purchase at check-out! 4. If an item is not in stock at your store, ask them to call and order it for you – If your store doesn’t have the size you need, ask the associate to call customer service. If they have it in stock, you can still use your Gymbucks to make your purchase and you’ll get free shipping when they send it to you! 5. 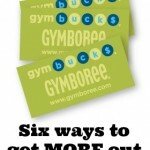 Make sure your total is at least $50 before Gymbucks are applied for every Gymbuck you are redeeming. 6. Shop clearance deals to get the most bang for your buck! 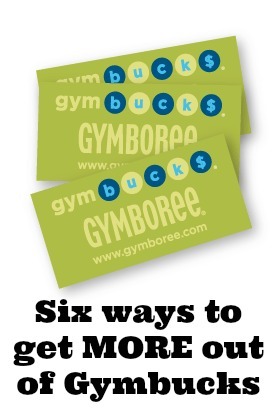 You cannot use another Gymboree coupon with a Gymbuck. You WILL receive the Gymboree Visa 5% discount when you redeem Gymbucks. If you return items purchased using Gymbucks with an original receipt, the discount for the Gymbucks will be applied. You should be able to do an even exchange (for example for a different size) with no issue. If you return items purchased with Gymbucks without a receipt, you will only be eligible for merchandise credit. You will need to provide a photo ID to make a return without a receipt. You cannot use merchandise credit to earn or redeem Gymbucks. You cannot use expired Gymbucks. NOTE: This post contains affiliate links and I will be compensated if you make a purchase using the links in this post. 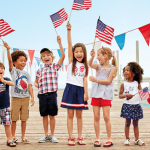 Gymboree FREE SHIPPING plus redeem Gymbucks! 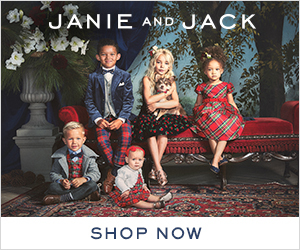 Big Savings on Kids Clothing! AWESOME! Thanks so much for the heads up Amanda! You would have to have the $200 Gymbucks if you wanted to do it all at once. To get a $200 Gymbucks, you would have to spend $400 initially.